Personal Details: Elder was born in 1894 and was the son of David and Agnes Oborn of Mount Barker. Elder completed his blacksmith apprenticeship and worked in the industry for a total of 6 years. As a teenager, Elder had completed some cadet training. Enlistment Details: Elder enlisted on Aug 14th 1916 in Adelaide at the age of 21 years and 11months. · Elder Harrah embarked on the R.H.B “Orontes” from Melbourne on the 23/12/1916 and disembarked at Plymouth on the 17/2/1917. · He arrived at No.3 Camp Parkhouse a day later where he stayed until the 26/03/1917 where he then marched out to Bulford and arrived the same day. · On the 6/04/1917 Elder was admitted to the Bulford Military Hospital with V.D. where he spent a total of 58 days and was discharged on the 2/06/1917. 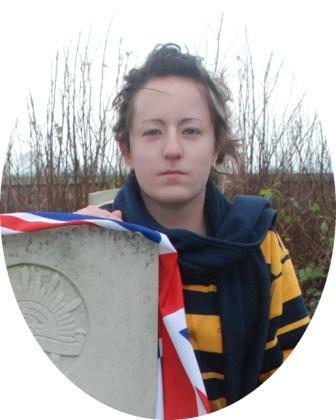 · On the same day he was discharged, he marched back to RBAA Bulford where he then at some point made his way to Southhampton and on the 18/09/1917 Elder proceeded overseas to Rouelles, France. · On the 28/09/1917 he marched out to the 2nd Div.Art. and on the 1/10/1917 while in the field, he was taken on strength to C.O. 2nd DAC. · Also whilst out in the field on the 5/06/1917, he was appointed Driver under AIF order 785. · On the 19/10/1917 he was transferred to the 5th Field Artillery Brigade to which he became the commanding officer of and was again that day, taken on strength by the 105th Battery still ranked Driver. · At this point he ended up fighting in Belgium were unfortunately he only survived 9 more days until he was killed in action. Elder Harrah Oborn was awarded with the Star Badge, British War Medal and a Victory Medal. It is seen in his records that his mother tried to claim his war pension but was rejected on the grounds that the claimant was not dependant on her son.